“Victory Garden” once referred to the vegetable and fruit gardens American civilians planted in backyards, parks and other public places to relieve pressure on those producing food for our troops during World War I and World War II. 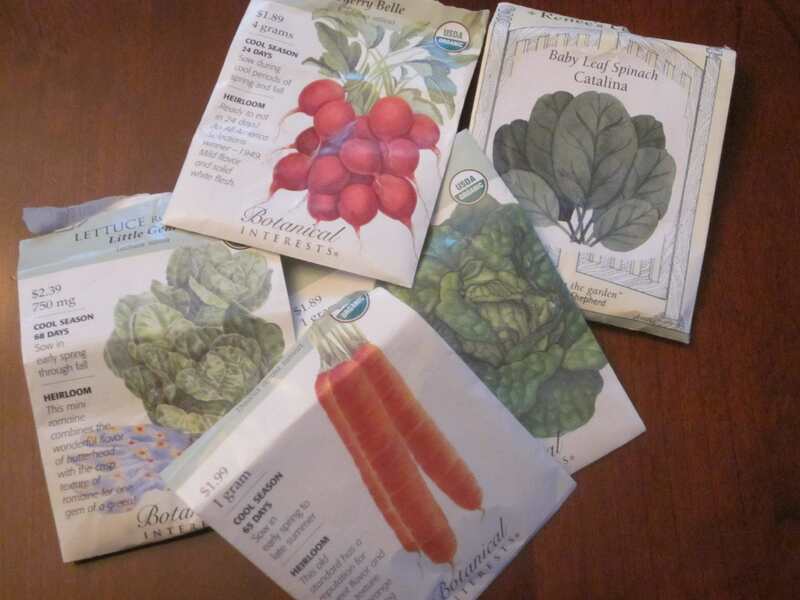 Today, my husband and I planted a Victory Garden, but in this case, we’re using the word “victory” loosely, mainly because we have never started anything in our garden from seeds, except nasturtiums. We prefer to buy plants well into middle age, when they’ve proven their ability to stand up to wild creatures and the elements. The victory will be ours if any of the lettuce, spinach, radish and carrot seeds sprout and become seedlings. If this should happen, a further victory will mean that the occasional wild bunny living in the neighborhood will not drop by and eat the seedlings, and that the neighborhood cats won’t use that part of the garden for a litter box. It will mean that the heavy spring rains, for which we are famous, will not wash the plants away, and that snow and freezing temperatures are events of the past (as in the past week). I’ve written the expected germination dates for each of our plantings and will be checking nightly for signs of progress. Expect to see the photo album showing the first seedling sticking it’s nose out of the soil, the row of tiny fearful plants as they await my decision as to which will fall to my heavy-fingered thinning, the plants that shriveled and died because we forgot to water them once summer arrived, and finally, should the Fates allow, a victorious salad.